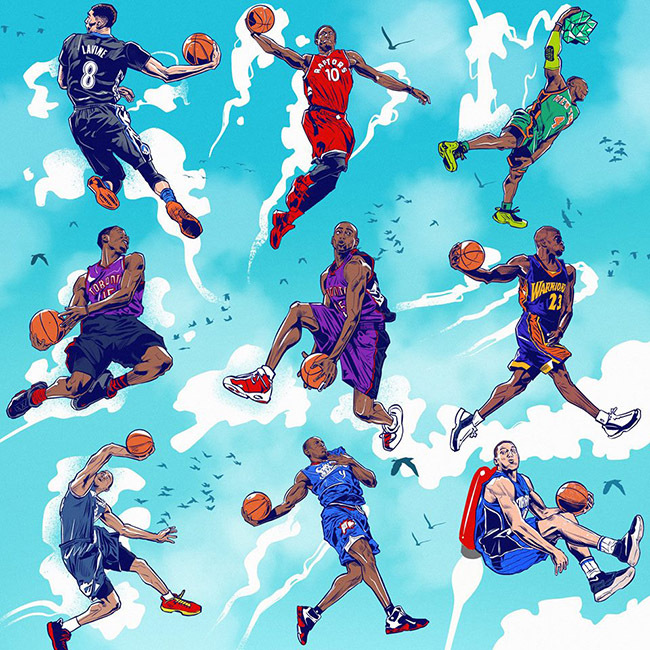 The 2018-19 NBA season is about to begin & I want to celebrate with some of the most valuable basketball artists. 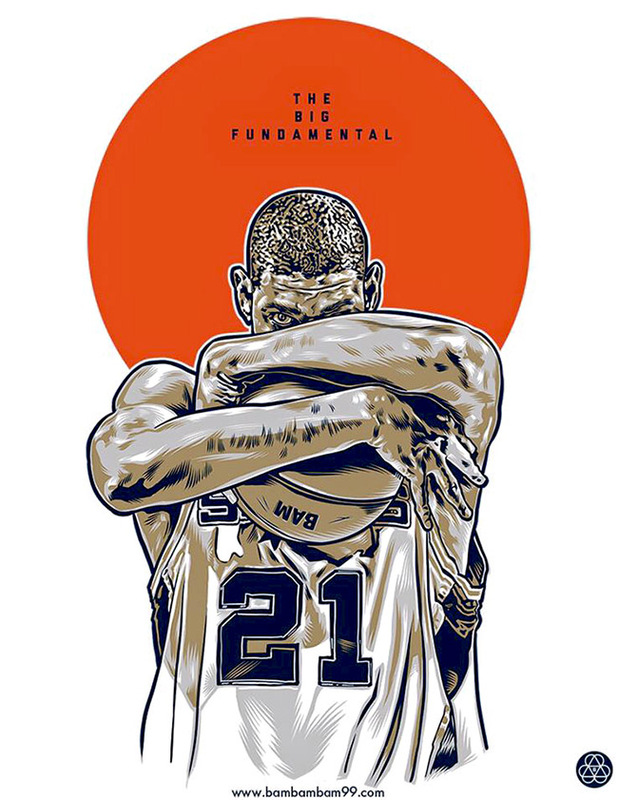 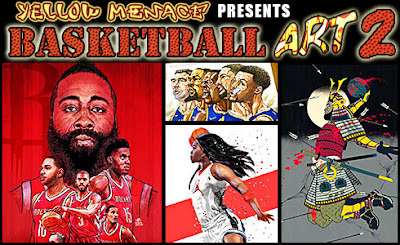 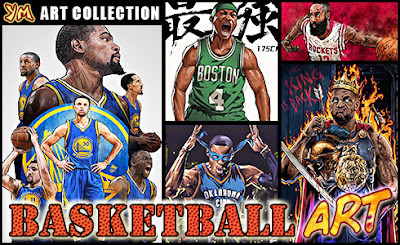 Anyone who regularly follows this blog knows that I feature a lot of basketball art, because it's the greatest sport & the only one worth watching, playing or drawing. 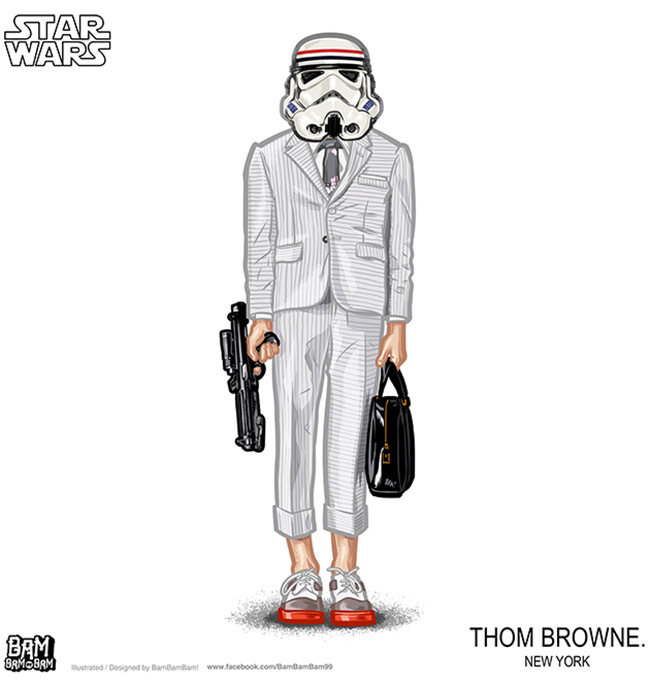 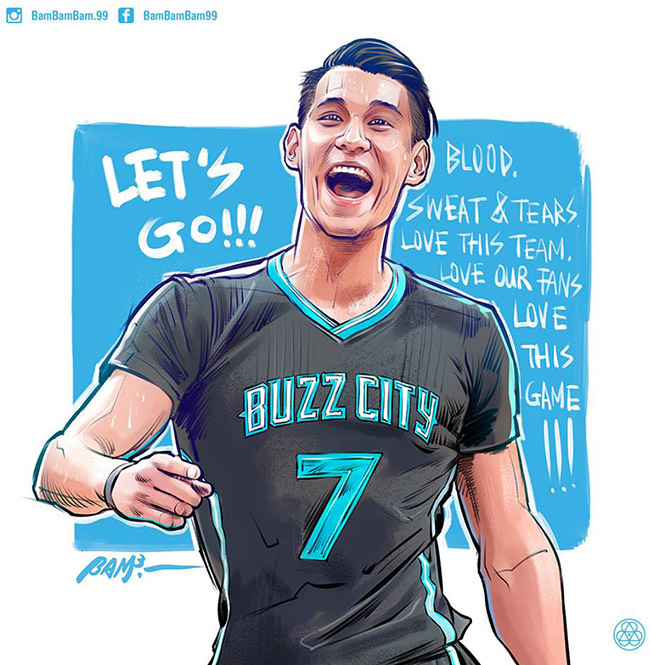 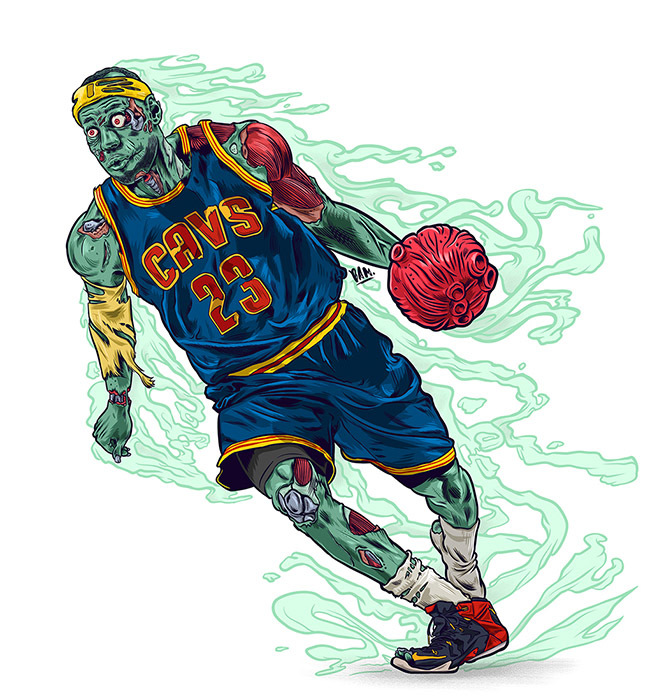 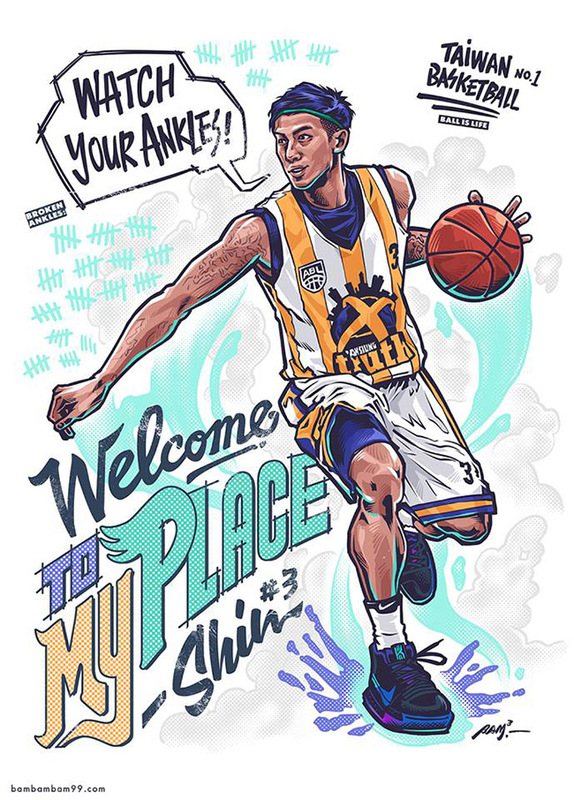 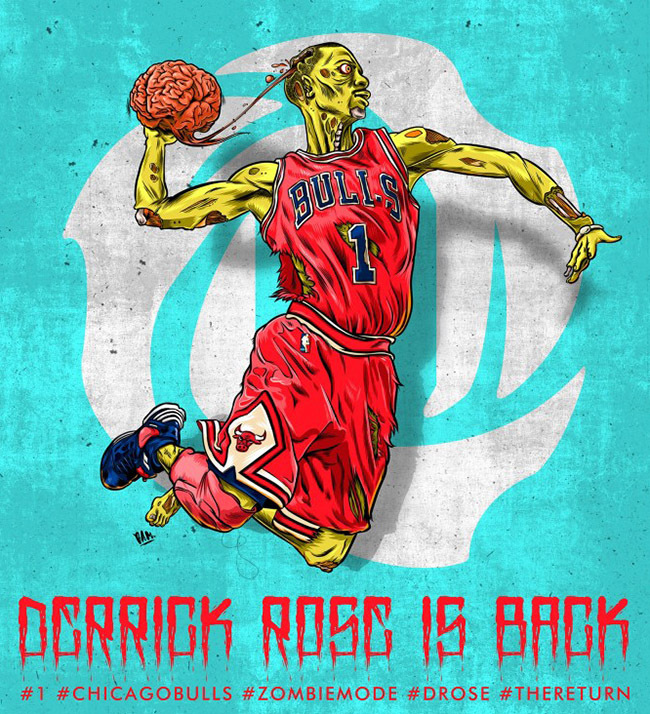 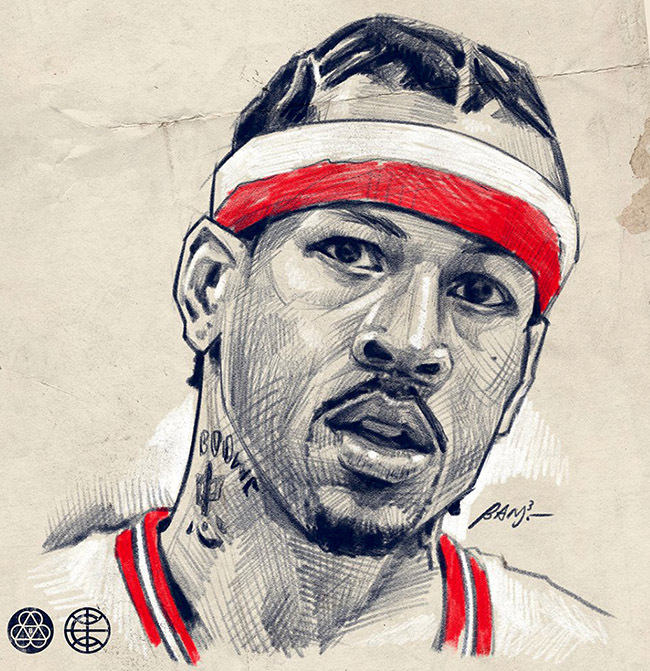 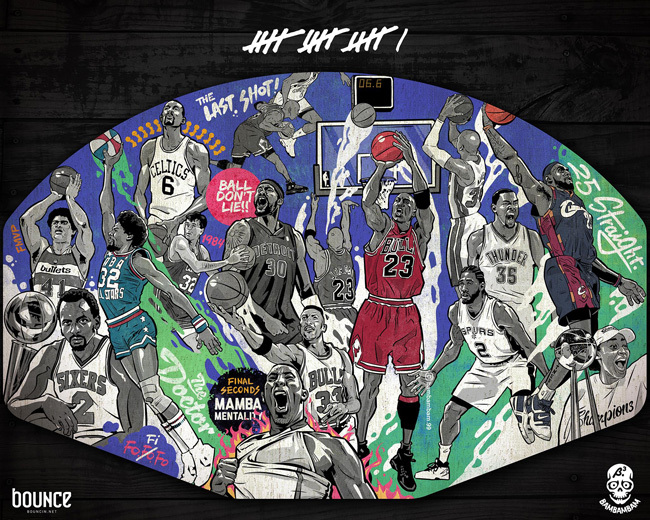 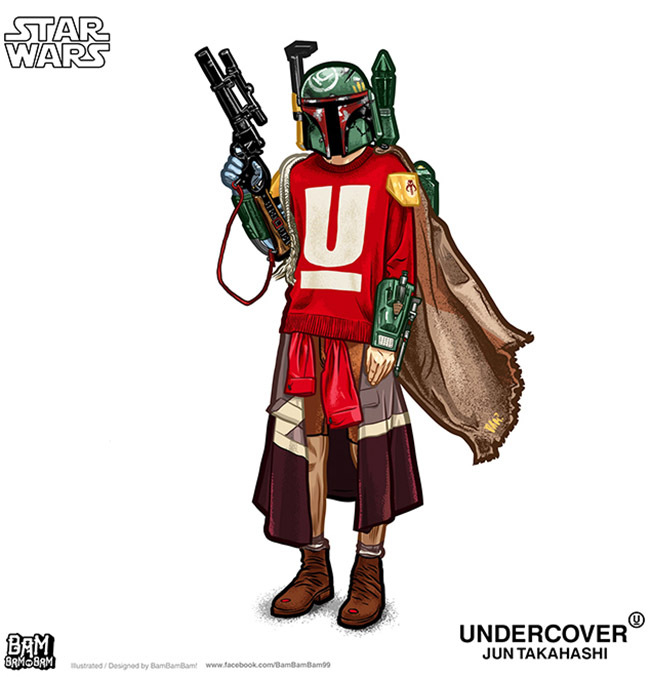 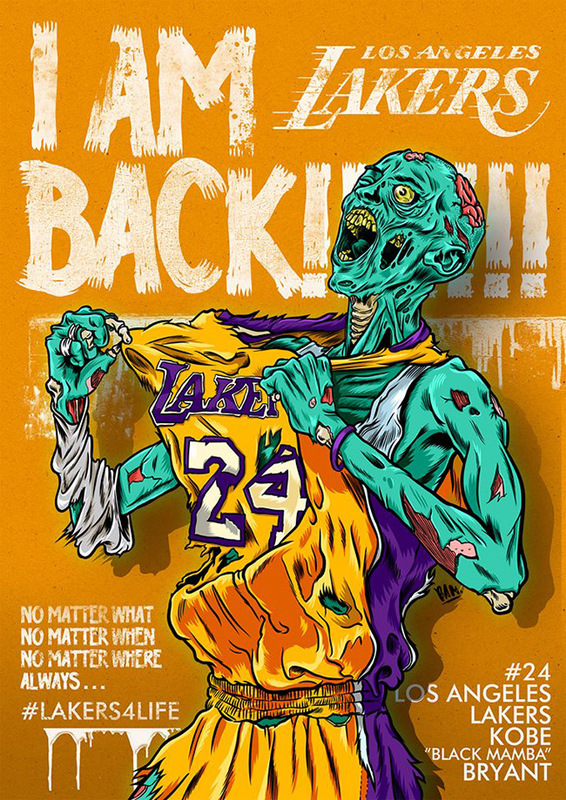 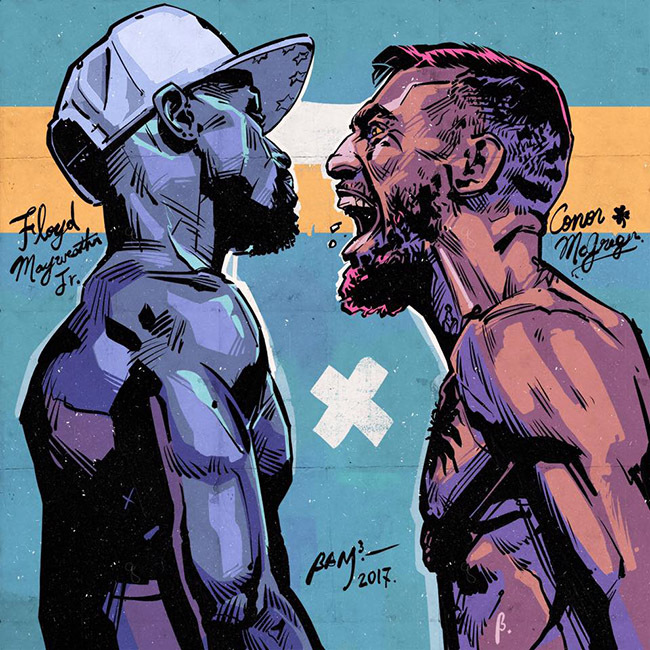 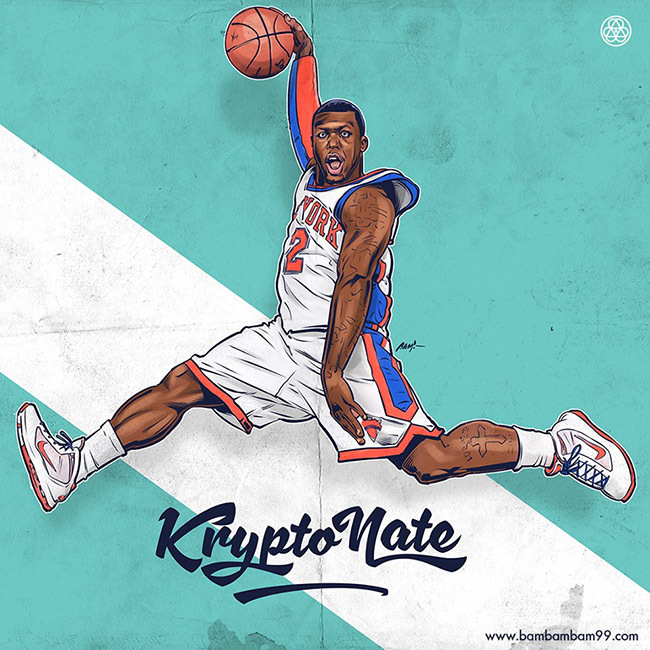 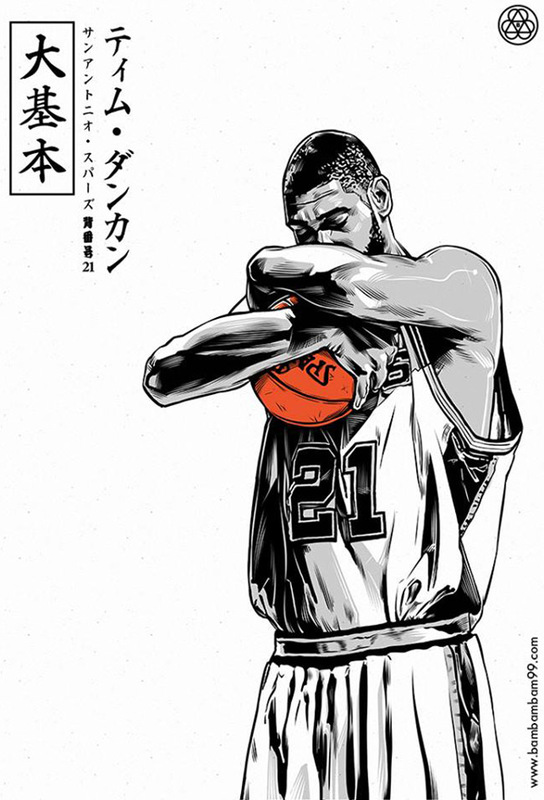 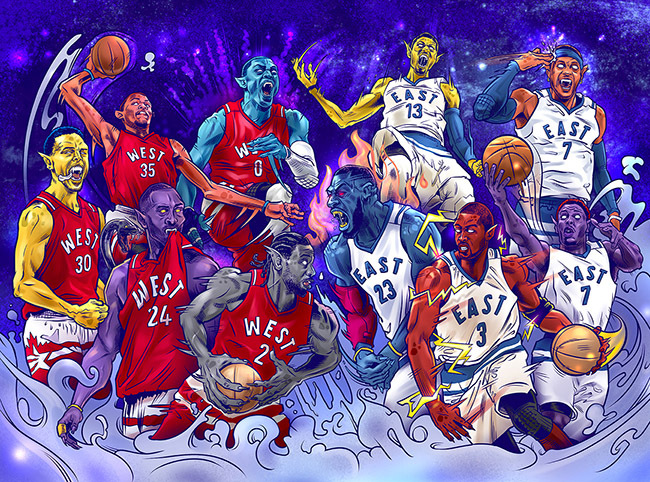 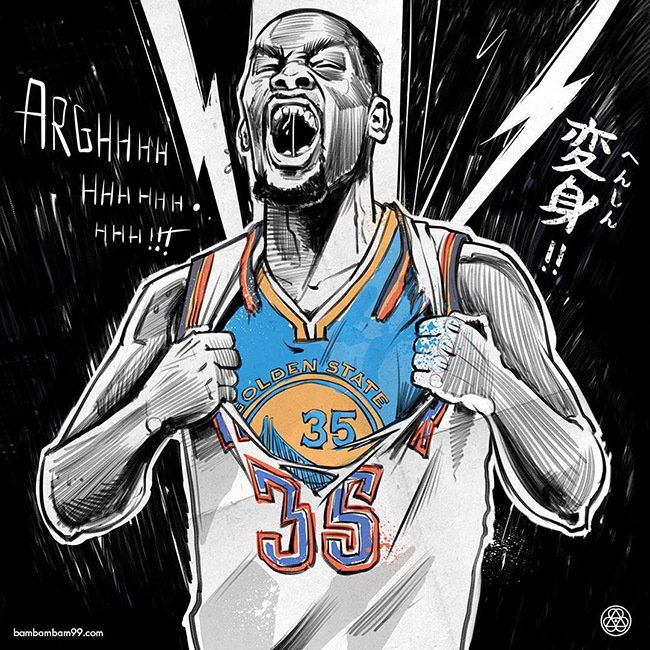 Let's tip off with Bamx3, a busy Taiwanese illustrator who works with the NBA, as well as many of the players, companies & media associated with the league. 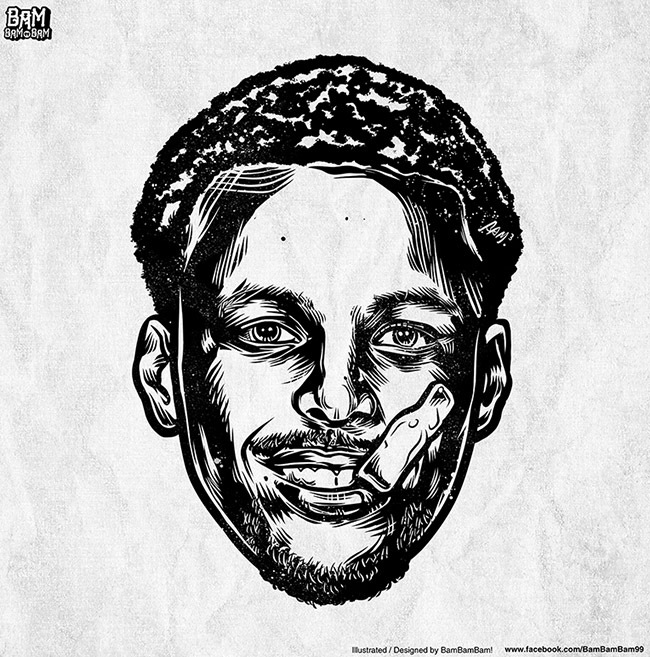 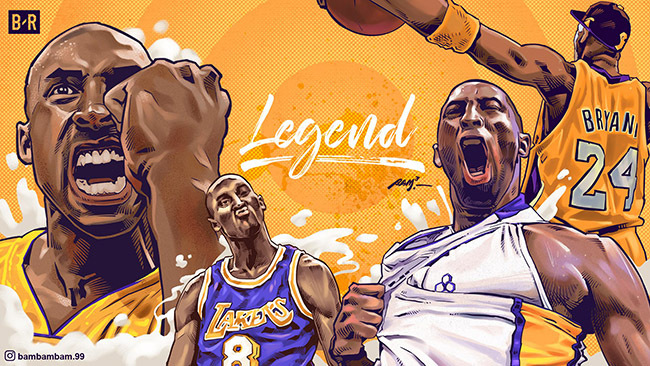 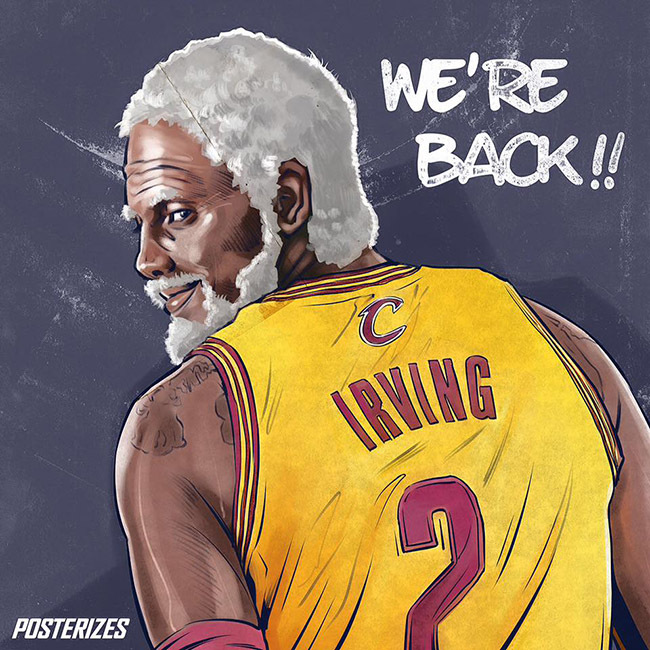 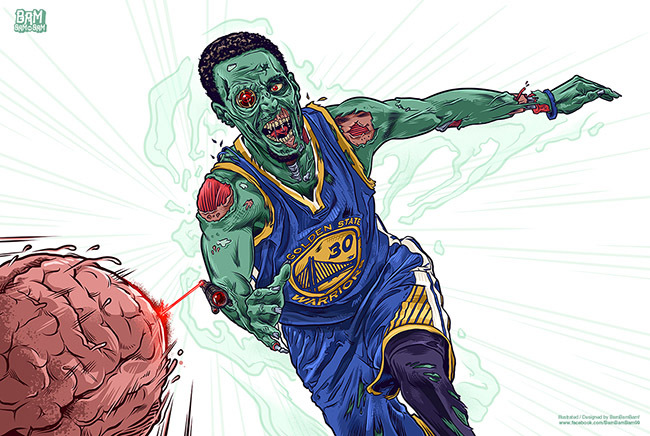 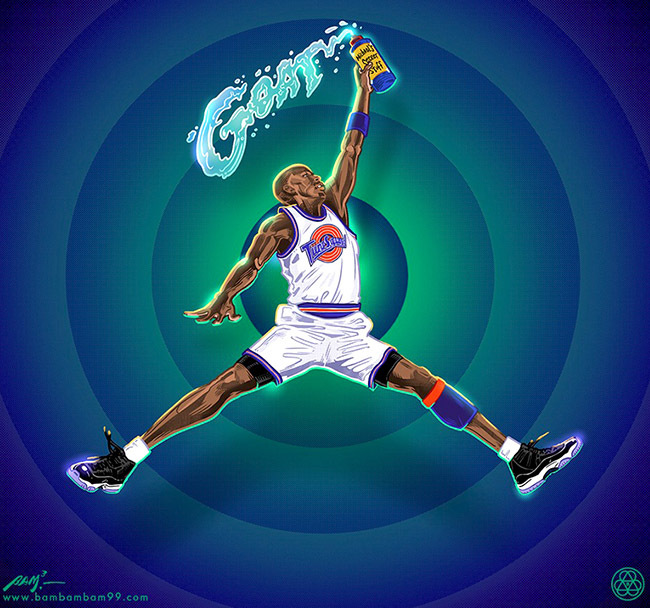 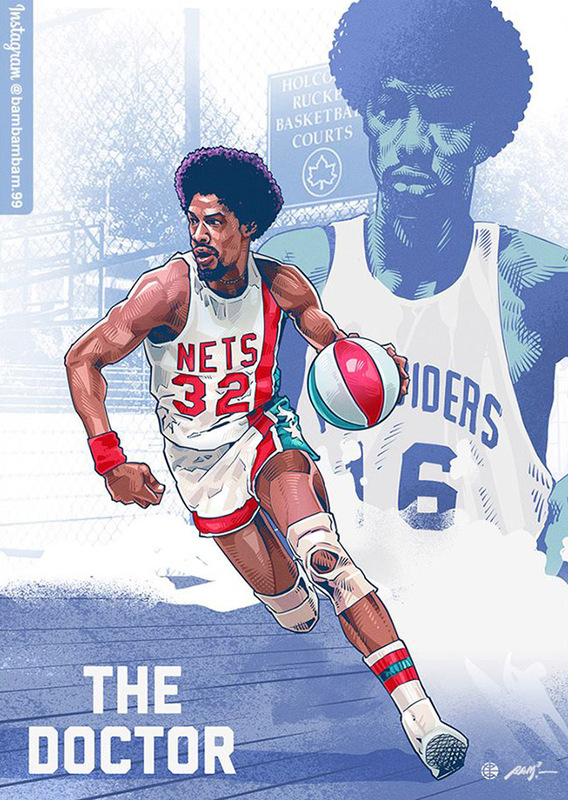 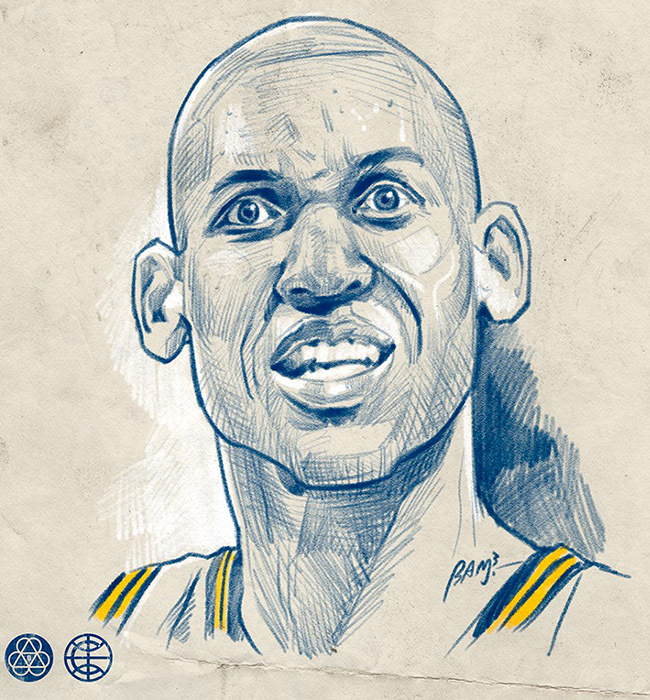 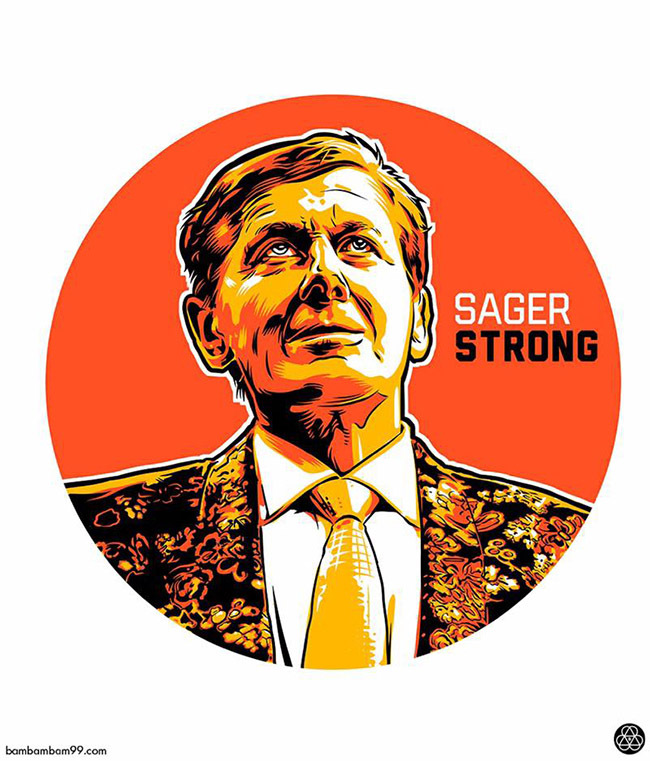 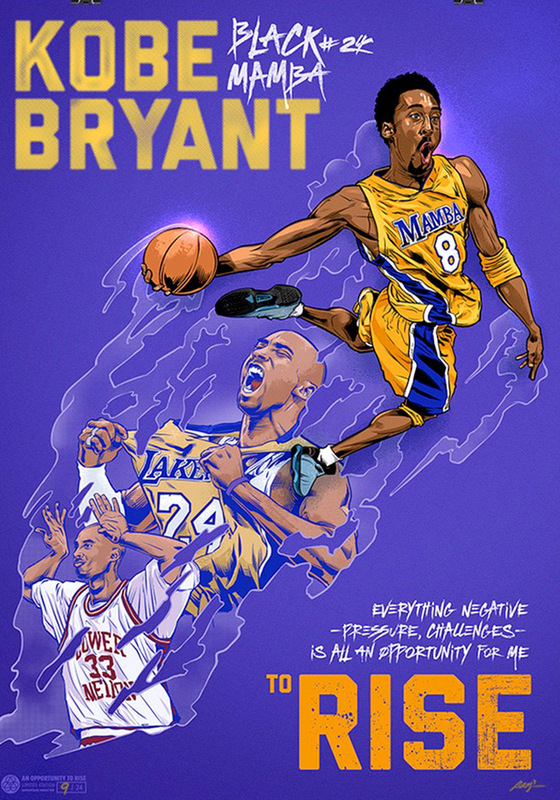 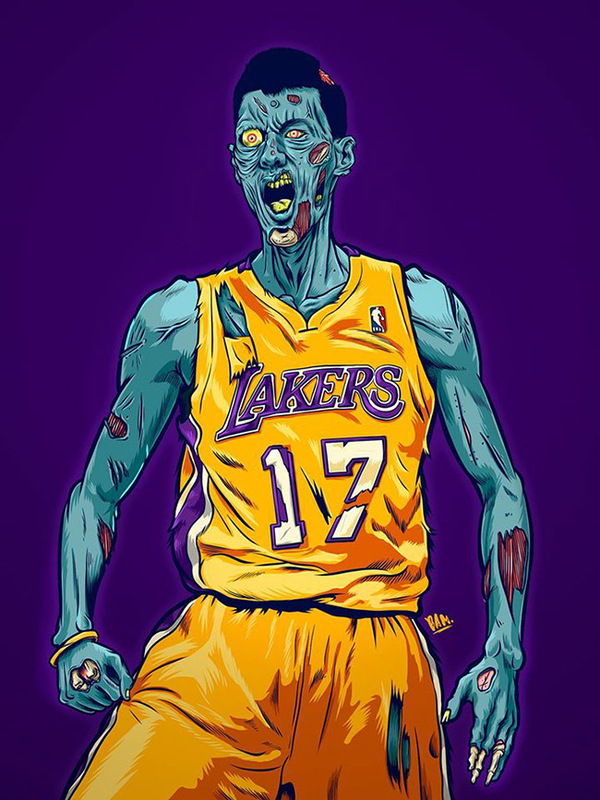 In this post I focus on Bamx3's depictions of the legends of the NBA with a few bonus illustrations at the end. 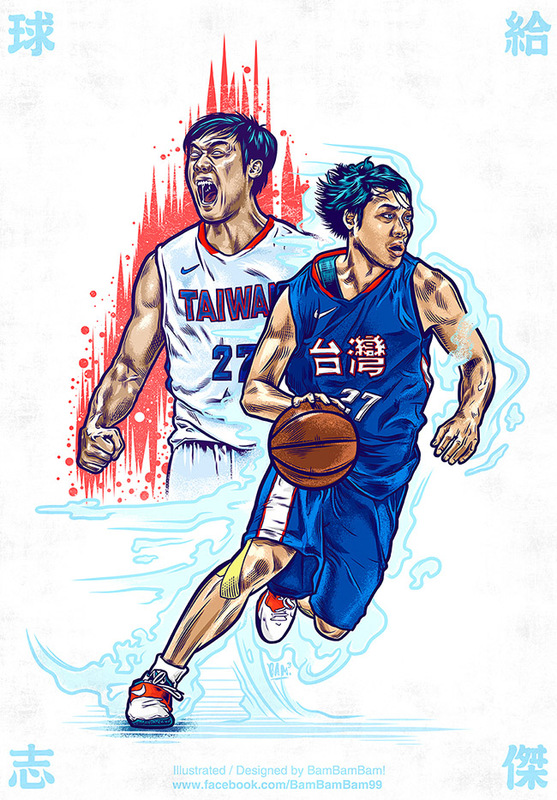 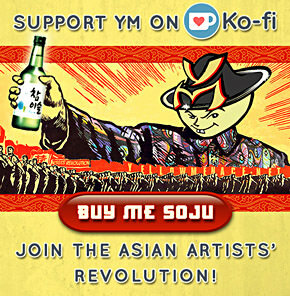 Born & raised in Taichung, Bamx3 is a Taipei based illustrator/designer. 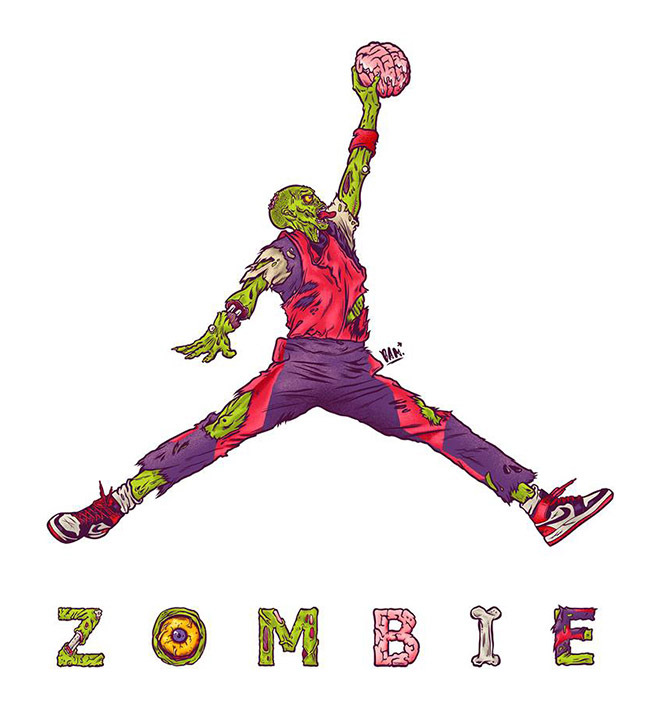 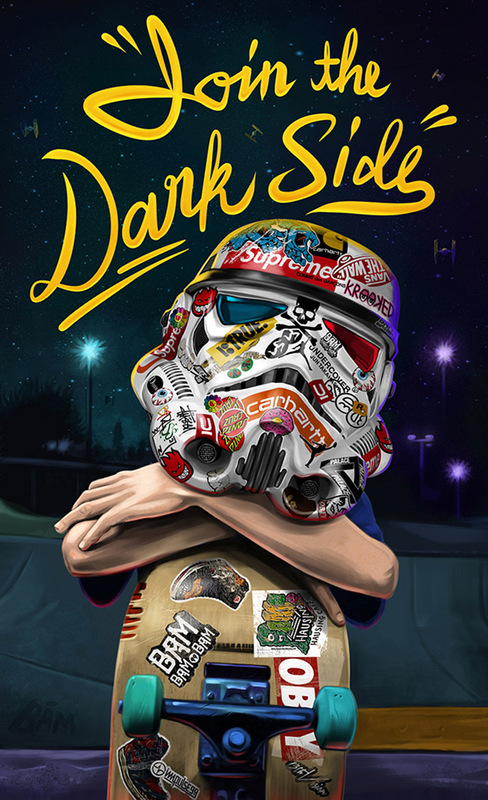 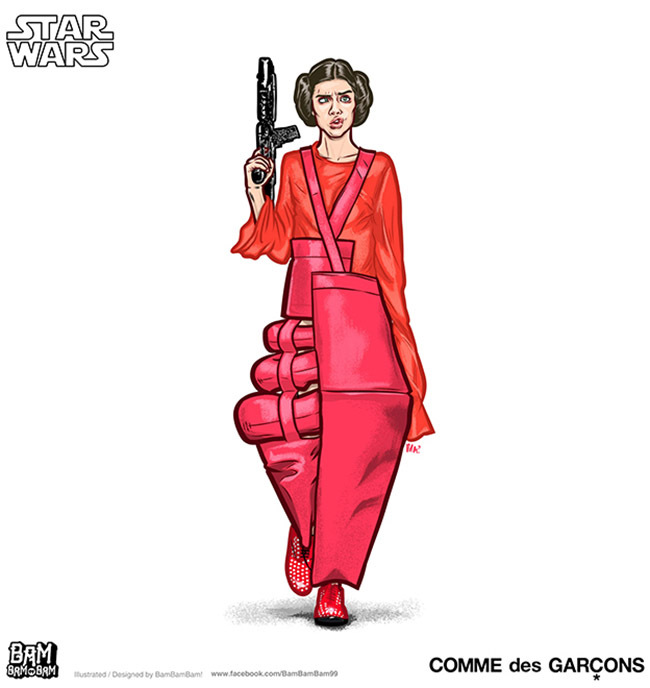 As a sports maniac & an enthusiast on street lifestyle trends, the majority of his work focuses on athletes, sneakers, street fashion, movies & even political events, with a tendency to zombify some of the figures in his work. 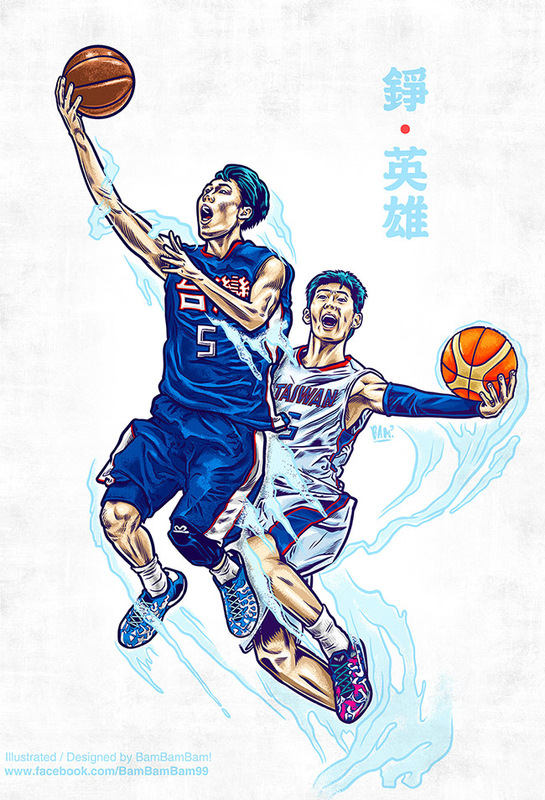 The name Bam originated from the Chinese character 竹 (bamboo) which is part of his Chinese name. 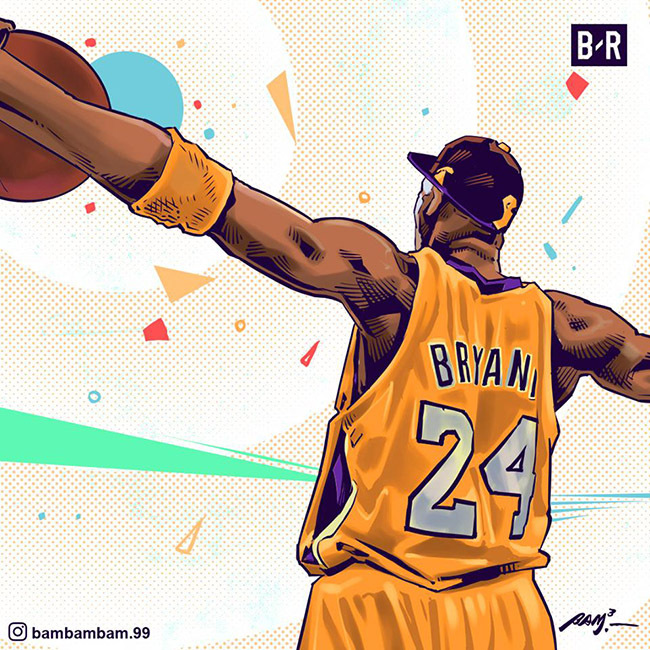 The word BAM is also an exclamation used to express extreme excitement or happiness, resulting from some sort of accomplishment.